This Christmas, the Independent – a British Newspaper – is running a campaign to raise money for elephant conservation. The publication earlier this week of an article by the National Geographic highlights just how serious threats against elephants are. Coming from a background in environmental conservation, this issue is something I feel strongly about. 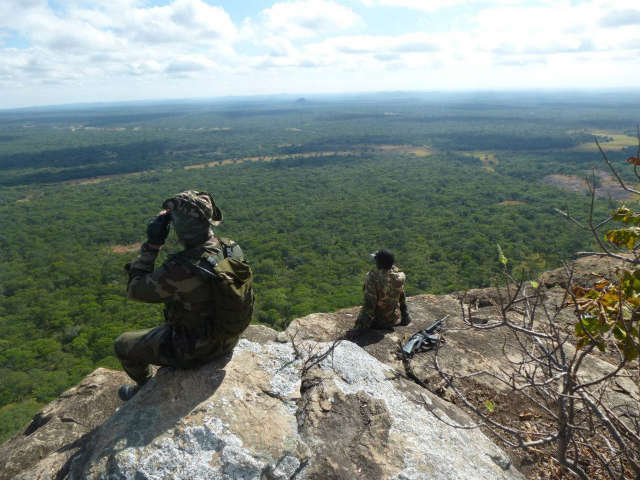 To look behind the headlines and see what is happening on the front line, I decided to get in contact with Act to Protect, a conservation group involved in anti-poaching operations that works around the Kasungu National Park, Malawi. 1 – Can you give me a bit of background information about the Kasumbu National Park and the Elephant population of the park? Kasungu NP is about 2.300 km2, making it the second largest park in Malawi. Reportedly, it used to be one of the best parks in Africa before. A few decades ago we had 2,000 Elephants. The park was famous for the enormous elephant and buffalo herds. By now, only very few elephants remain*. The principal reason for their decline is poaching. *Estimated numbers not to be published for security reasons. 2 – What are the biggest pressures/ problems that Kasungu National Park faces? In terms of law enforcement, this year we was really busy with a lot of encroachment from the Zambian side but also from Malawi. However, the situation with the Zambian encroachers seems to be resolved for now. -In the field we have to implement different new tactics, new technologies and better equipment for the scouts who pass their time walking, sleeping and fighting in the bush. -We are working on education programs in schools, to involve and teach the kids why they should take care of their environment. -Find alternatives with and for the villagers around the park, sometimes theses villagers have no other choice to survive then go in the park to poach. – As in a lot of African countries, corruption is always a risk. This is of course hard to detect and fight. – The sanctions that used to be given to arrested poachers by magistrates and judges was not very high, so poachers didn’t risk much going into the park. DNPW has now invited them to the park and discussed the importance of conserving wildlife with them. Since that, we have seen better sanctions and this is really a big step forward! – Lastly, of course, money is always a problem when you work in wildlife conservation. Finding funding for the projects is always a (time-consuming) challenge. 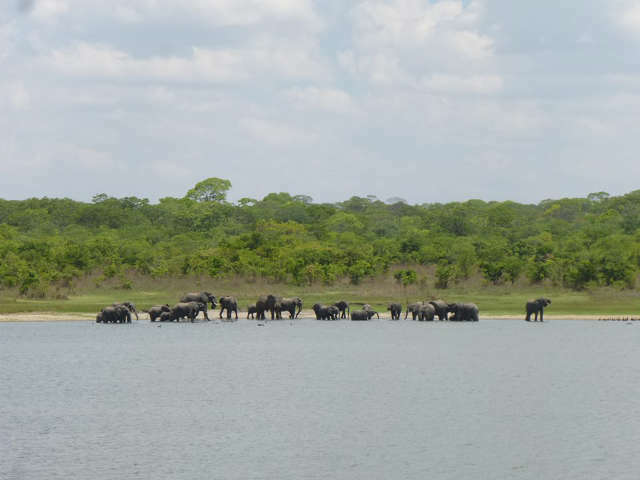 3 – In your opinion, how much of the decline of the elephant population within the Kasungu National park is the result of habitat loss through land pressure (deforestation, desertification, etc.) and how much is the result of poaching? In the case of Kasungu, at the moment poaching is the principal reason of the decline of the elephant population. Although deforestation and encroachment are an issue, these appear to play a smaller role in elephant populations sizes. 4 – Approximately how many park wardens are working at the Kasungu National Park? 5 – Can you give me an idea of an average working week in the life of a park warden (how frequently they patrol, how long they patrol for, how often do they encounter poachers, etc.)? Again for security reasons I can’t tell much… we encounter poachers often and we patrol enough days. The problem before, was the efficiency on patrol. We have now changed tactics and it is paying off. 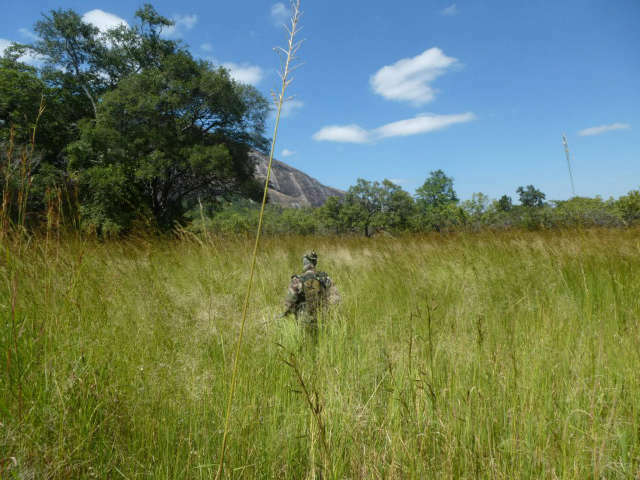 It is not an easy job patrolling in the bush; we have a lot of terrain to cover in hard conditions. For this reason, we implement more and more ‘’air-control’’ and high-tech methods, to make our job easier. We also have a plan to get anti-poaching dogs but again, this needs long term funding. 6 – Elephant poaching obviously grabs the headlines, but what other animals are being poached within the Kasungu National Park? Bushpigs and warthogs, buffalo, different antelopes and hares. In the early days also crocodile and rhino, but they are already extinct now. Lions are also at risk, we have about a handful left. 7 – Can you tell me about the poachers operating in the Kasungu National Park (are there professional heavily armed poachers operating in the park who outgun the wardens or are they mainly local farmers with a rifle)? • Subsistence poachers: using snares and spear, but they may also use handmade guns. • Professional poachers: e.g. Asian mafia, highly trained men, well equipped and motivated, using AK47 mostly. This last category is not often seen in KNP. 8 – Do most of the poachers come from across the border in Zambia or are they locals from Malawi? 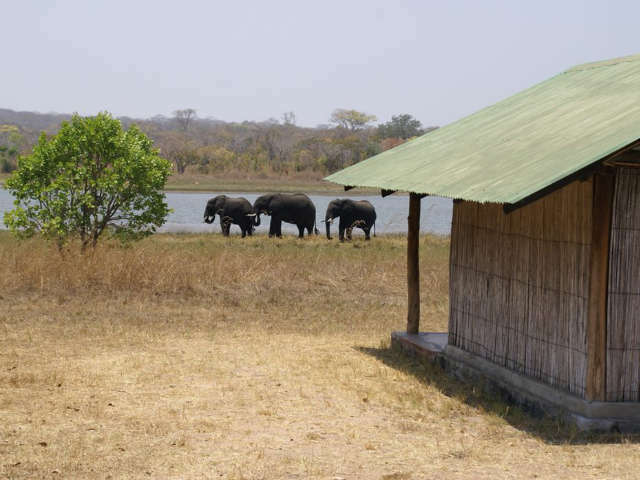 9 – In 2000, a report was released alleging systematic human rights abuse conducted by game wardens against poachers in the Liwonde National Park. Is this/ has this ever been an issue at the Kasungu National Park? No, but the Zambians did complain about how our scouts handled them. The Department of National Parks and Wildlife had a meeting about this, in Zambia. It is now solved. 10 – What judicial penalties do poachers face once they have been caught by game wardens? It is depending on what they were doing in the park, but overall it used to be low. At the moment, we do have good relations with magistrates and they understand better why wildlife is important for the country. We have now seen poachers get a big fine or some years in prison. 11 – Is the judicial system effective in dealing with the poachers once they have been caught by the game wardens or do you see the same poachers consistently re-offending? Exceptions do exist, but I don’t often hear that we encounter the same people repeatedly in Kasungu. 12 – Finally; a lack of alternative employment opportunities is often given as one of the prime causes of poaching. Are there any programmes are in place locally to help create employment opportunities for people living in rural communities? Our foundation ACT to Protect just started in Kasungu NP. Our SHARE program is aimed towards identifying and setting up alternative businesses for people in surrounding communities so they will get an income out of other sources. The most important thing is that the entrepreneur needs to be motivated. So they have to come with an idea, and if feasible and sustainable we assist with making it happen. If you want to visit the area and support the organisation, you can stay at Lifupa Conservation Lodge, in Kasungu National Park (run by our foundation ACTTo Protect), stay a few nights in the beautiful surroundings. You can relax in this serene place and the money guests spend will also be used for protection of nature and wildlife in and around Kasungu NP. Of course the lodge employs people from surrounding communities. Apart from ACT to Protect, other organisations such as WESM are actively involved in this area. The Department of National Parks and Wildlife is also working on a benefit sharing scheme for this purpose. I love elephants! These photos are great. They are such sweet and gentle animals but still so quirky. Thanks for sharing! I Am Great Animal Lover,I Like Elephants and Lions,Really Had a Great Time to read about it,really thanks for wonderful article.. Very cool pics of the elephants and with an amazing view. Thanks for sharing!